When we first reviewed the Dell Adamo 13 back in 2009, we fell in love with its sleek design, but at £1649 it was priced a little too high. Now this highly desirable ultraportable has dropped massively in price to just £499, so even cash-strapped consumers can afford it. Without a doubt this is the best-looking laptop at this price point. Everything from the half-glossy lid to the matt-black interior exudes style and class. The build quality is superb too, with no hint of flex seen in any area of the sleek metal chassis. This is also one of the thinnest laptops we've seen and is practically half the size of the others here at just 20mm. The 1.8kg weight means you can comfortably carry it around all day, while the five hour battery life is perfect for extended travel. 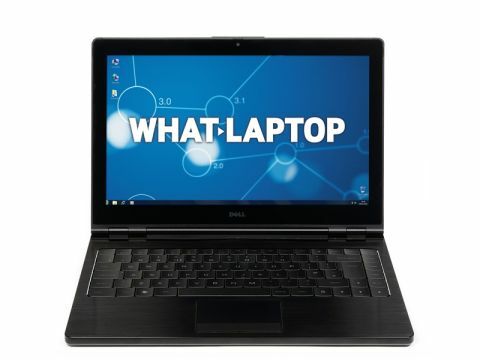 To slim things down, Dell has used a low-voltage Intel Core 2 Duo SU9400 processor. As a result, performance lags behind laptops such as the Toshiba Satellite Pro S500-15W, although the Dell still outperformed the Acer Aspire 5552 and came close to the PC Nextday Zoostorm 3389. You can indulge in some light multi-tasking with your office applications, without suffering lag. Multimedia potential is unfortunately as limited as the PC Nextday Zoostorm 3389-9426/A, thanks to the basic integrated Intel GMA 4500M graphics. You can certainly enjoy your music and movies, but editing your media files isn't an option. We were very impressed by the compact 13.4-inch screen. It may be a smallish display, but it features a 1366x768 pixel resolution, so images are beautifully crisp. The Super-TFT finish brings colours to life, and viewing angles are refreshingly wide, although the display is quite reflective in direct sunlight. The keyboard looks just as slick as the rest of the laptop, with unusually contoured keys that are perfectly sized. The travel is quite short due to the thin chassis but it is very comfortable to type on for extended periods. It's also backlit for use in dark environments. The well-sized touchpad is responsive and supports multi-touch gesturing, while touch sensitive media shortcuts give you easy control over your music and movies. While the 128GB of storage is low, the Solid State Drive allows fast access to your data and is less susceptible to failure. There's no DVD drive in the slender chassis, however, so bear this in mind if you need disc access. A DisplayPort allows external displays to be connected, while an eSATA port can be used to hook up an external hard drive. The beautifully crafted chassis makes the Adamo 13 one of the most attractive laptops we've ever seen. Packing some impressive features, including the sharp and vibrant screen and excellent keyboard, this is a truly stunning bargain.